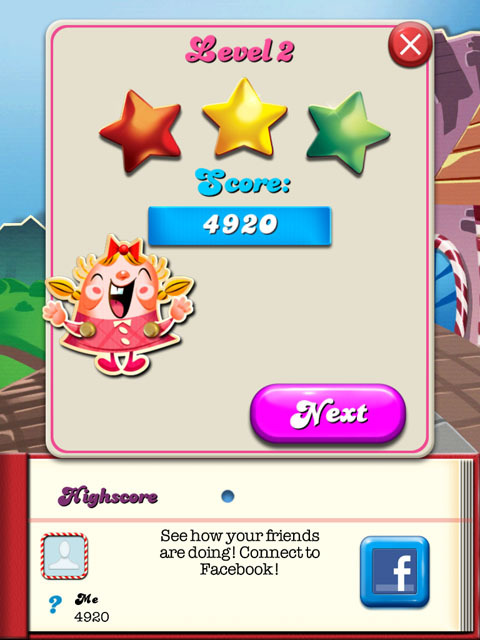 Get your sweet tooth ready for the addictive game Candy Crush by the team at King.com Limited! Clear rows of candy, building up points and exploiting your true love for sweets! It's an elimination puzzle app similar to Bejeweled Blitz! You'll swipe a piece of the candy any direction to match up three or more of the same kind! This will remove them from the playing area and random candies will fall in taking their place. 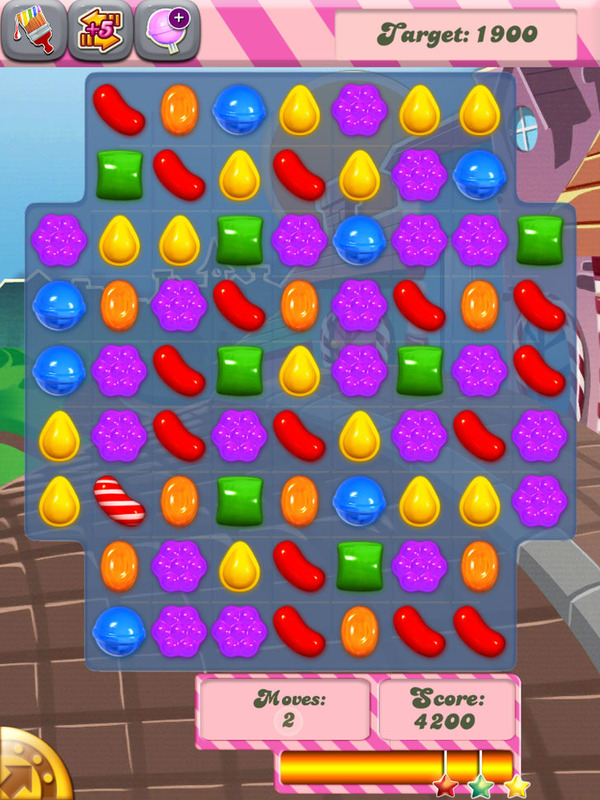 Sometimes completing a trio will trigger other candy multiples to match up as they fall down to fill in the empty space. This will give you more completed trios and points. If you match atleast four candies you'll get a special candy in gameplay, just match that up to it's counterpart and use it to clear out anything in it's path creating a line blast. Complete the asked amount of lines to finish a level and move on to the next. 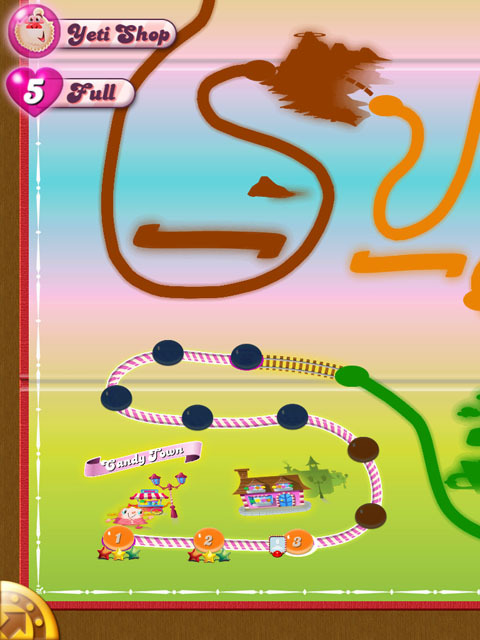 The Candy Crush Saga world is very large, giving you many levels to play through. You start in Candy Town and unlock new areas as you complete them. Use and unlock upgrades to help you throughout the game: Charm of life, Charm of stripes, Charm of frozen time!